It was a good many years ago, back in the days when we still spoke of RAM (Random Access Memory) on computers that I first thought of the term “Random Access Musings.” I have used it ever since to describe the short thoughts that often jumble up in my brain, demanding to be released and refusing to allow any single, lengthy topic to have my full attention until I do so. Here, then, is another set of random access musings for your consideration. One, the Bible teaches that racism is wrong, in multiple places, Acts 10:34-35 being a very prominent example. But that which should be taken very seriously is, these days, almost impossible to do so since the words racist and racism are now used mostly as a sign that one is too lazy or inept to actually debate the merits of a subject and needs a quick insult to demonize the person with whom they disagree. Calling every person on the other side of an issue “racist” has so watered the word down that it has no more efficacy than the word “rutabaga.” Everyone has some vague notion that there is, in fact, some vegetable out there somewhere by that name, but very few people have any idea what it actually looks like or tastes like. Search the Scriptures–a command directly from Jesus. Jesus spoke a great deal about the written word of God. 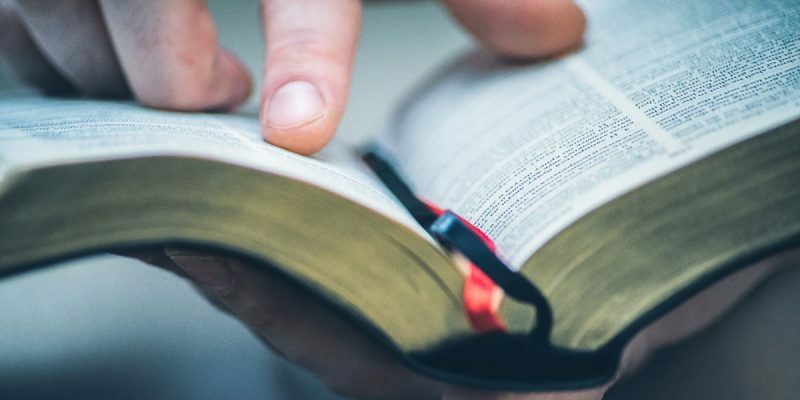 When tempted by the devil rather than saying, “Do you know who I am?” he three times said, “It is written.” This makes me wonder why many today want people to look away from the Bible for answers rather than into their Bible for answers. Three, I love sports, but people often demonstrate their lack of an actual life by the rabid nature in which they engage others on the subject. I have been a loyal fan of a particular college basketball team for more than 40 years. I have also been a loyal fan of a different college football team for more than 25 years. This is because I never even watched college football until I got married, opting exclusively for the NFL game. When I met Dana, her family introduced me to the college game and their team, and I was instantly hooked. This “unacceptable” arrangement often leads people to make very derogatory statements, statements that cross some lines that should not be crossed, and a great many others I know have experienced similar things. Good natured banter is fine, but if your sports enthusiasm causes you to lay your Christianity aside just long enough to make a horse’s patoot out of yourself, you might not have much actual Christianity to lay aside. Five, I understand that there is now a push in many places to lower the voting age to sixteen. I have been sixteen, I have had three sixteen-year-old children, and I have been the pastor and youth pastor to hundreds of sixteen-year-olds. This idea is horrible. In 1 Corinthians 13:11 Paul said, “When I was a child, I spake as a child, I understood as a child, I thought as a child: but when I became a man, I put away childish things.” It used to be understood, and not at all controversial, that adults would make adult decisions and face adult consequences. Now, though, some people want it both ways. They want sixteen-year-olds to be protected from being tried as an adult in the legal system; they want sixteen-year-olds to be able to be able to physically assault adults while expecting the adults not to strike back since “he is just a child;” they want sixteen-year-olds to not be sent to war; they want sixteen-year-olds to not have to provide their own food, clothing, and housing. They also want sixteen-year-olds to decide who will be in charge of foreign relations, which direction the policy of the federal reserve will go, and who will direct the world’s most complex economy. Six, everyone needs to pray and do right. No one needs to pray about doing right.